Damage from the 1989 earthquake in California. When the topic is earthquakes, one naturally thinks of California and indeed California is one of the most earthquake-prone of the lower 48 states. Nevertheless, earthquakes aren't exclusive to California. The entire Pacific coast of the U.S. shares those geologic faults that periodically rattle California, with the title for tremor frequency going to Alaska. California doesn't even come in second in that category—the second most earthquake-shaken state is far-inland Oklahoma, where wastewater disposal from the oil and gas industry has triggered a dramatic upswing in seismic activity. 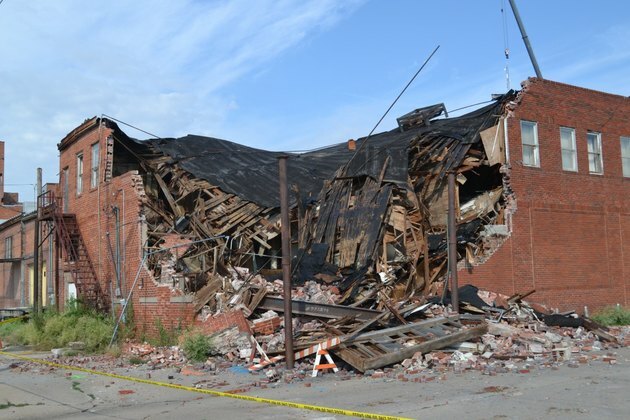 In all, more than 20 states have recorded noticeable earthquakes in the last 30 years. While earthquakes are never entirely predictable, insurance companies gauge their policy rates on the strength of probability, making the cost of earthquake insurance much higher for those living in seismically risky areas. Renter's insurance is intended to protect you from loss from fire, theft, vandalism, and from liability if someone gets injured in your rental unit. It explicitly does not cover "earth movement" events, such as an earthquake, landslides, and volcanic eruptions. Your renter's insurance may, however, cover fire damage or loss even if it is a consequence of an earthquake. An earthquake caused the collapse of this building in Cushing, Oklahoma. Where it is offered, earthquake insurance may be available as a stand-alone policy or as a rider to your renter's insurance. Not every insurance company carries it. In California, companies that don't have an earthquake policy of their own are required to participate in a quasi-public insurance company called the California Earthquake Authority, or CEA, which sets the coverage, rates, deductibles and limitations. In regions where seismic activity is likely, earthquake insurance is expensive. The rates will vary with the amount of coverage you choose—from a base rate of $5,000 up to $200,000—and the amount of your deductible, expressed as a percentage deducted from your claim. Some personal property, such as artwork, ceramics and glassware, motor vehicles and pets are excluded from coverage and the reimbursement for certain items such as computers and printers will be explicitly limited. Part of the exercise in determining whether an earthquake policy or rider is worth the investment is to estimate the replacement cost of the personal property items that would be included in the coverage minus the deductible, then compare with the cost of the policy. A component of earthquake insurance coverage that could be just as valuable to you as the personal property reimbursement is the loss-of-use coverage. You choose the limit to the coverage you wish—from $1,500 to $100,000. Loss-of-use pays for your living expenses, within a reasonable time frame, while you are unable to live in your apartment. Loss of use coverage does not have a deductible. The company that provides your renter's insurance, if you have it, may also offer an add-on rider for earthquakes. If not, you'll have to source a stand-alone policy. The office of your state insurance commissioner should be able to provide a list of insurers. In California, the Earthquake Authority provides a list of insurance companies that participate in their insurance coverage program. 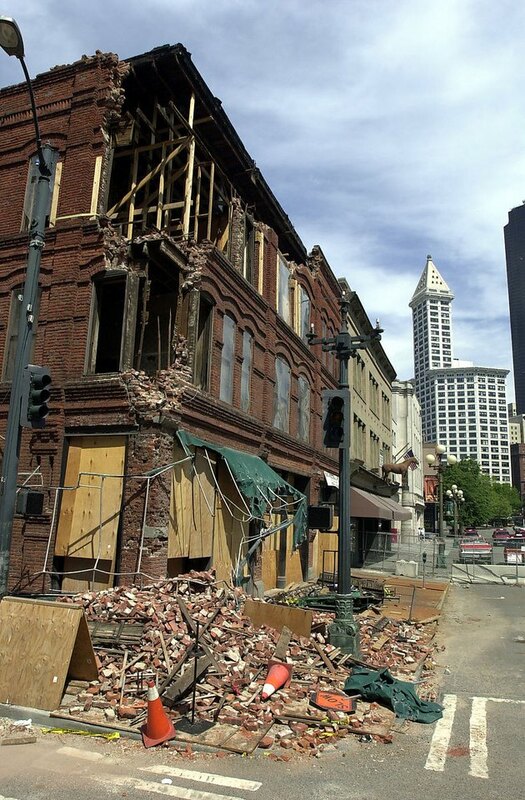 While the cost of earthquake insurance in seismically active areas is always high, prices will vary depending on factors such as the age of your building and its construction. While the specifics of the building that houses your apartment don't affect the cost of your renter's insurance, which covers only your personal belongings, the relative likelihood that your building could collapse will enter into the pricing of earthquake insurance. Damage in Seattle from a 2001 earthquake. In the event of an earthquake, it is important that you report any damage or loss as soon as possible. When you call, your insurance company will open a claim. Save the claim number to facilitate further communications. Ask that the company assign you a claims adjuster. The claims adjuster can not only assess the damage to your property but also affirm your need to make a claim against the loss-of-use portion of your coverage. Expect the aftermath of a seismic event to be unsettled and chaotic. Keep careful records of each communication with your insurer, including the date, to whom you spoke, what was discussed and what was promised as next steps. If you are investigating earthquake insurance for renters, chances are you live in an area where an earthquake is more than possible. Insurance companies know that, too, and craft the provisions of their coverage to minimize the gamble on their part. 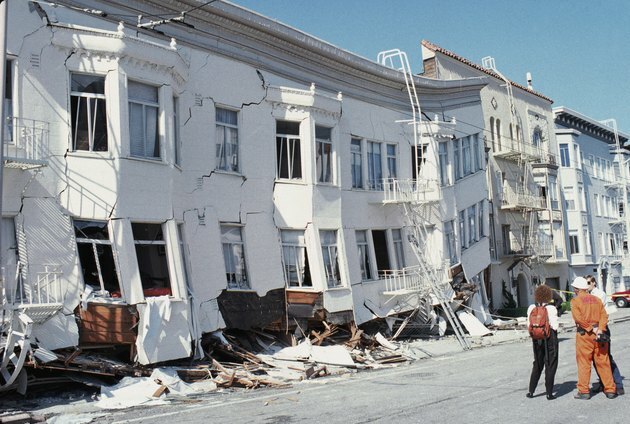 Whether or not earthquake insurance is a good investment for you as a renter may depend on how soon the next earthquake happens and how severe it is. Insurance companies hope to collect more money in premiums than they will pay out in claims. The money you would pay for coverage might be better invested in preventative measures, such as tie-down straps to secure your electronics, careful storage of breakables, and in a savings account banked against emergency. Which is the best bet? Only time will tell.